Shravan Maas (July-August) is considered most auspicious. In 2018, the Maas starts from 28th (Saturday) July to 26th August (Sunday) in Rajasthan, Uttar Pradesh, Madhya Pradesh, Punjab, Himachal Pradesh and Bihar whereas it is celebrated from 12th August (Sunday) and ends on 9th September (Sunday) in Andhra Pradesh, Goa, Maharashtra, Gujarat, Karnataka and Tamil Nadu whereas. It is the fifth month of solar year and is also known as Avani in the Tamil scriptures. As per Vedic astrology, when Sun enters the zodiac Leo, Shravan Maas is said to set in. As per lunar calendar, Shravan sets in on the New Moon Day. On Full Moon Day (Punam or Purninma), the divine firmament (sky) is under the celestial sovereignty of Shravan Nakshtra (one of twenty seven Nakshatras). Therefore it is called Shravan. Each day during this month is auspicious for worshipping Shambhu (Shiva). Prayers and Vedic rituals are performed in Lord Shiva temples in order to please Him. 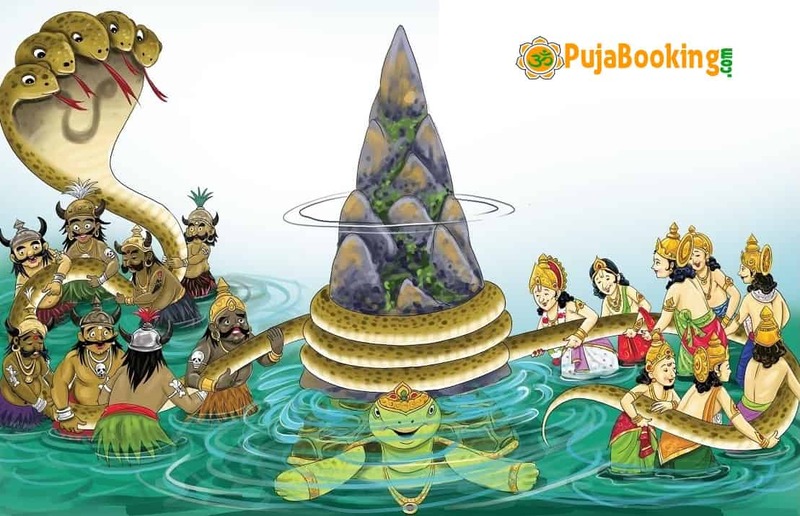 Shravan Maas is also a holy month filled with other festivals such as Naga-Panchami, Govatsa, Shravani Purnima , Vara Lakshmi Vrata, Rishi Panchami, Raksha Bandhan, Kalkyavatara and Putradaikadashi. Northern states such as Himachal Pradesh, Madhya Pradesh, Haryana, Uttar Pradesh, Rajasthan, Bihar, Chhattisgarh and others celebrate fifteen days before the southern states celebrate. Since it is the most auspicious period, one can take advantage of it by performing Shravan Maas Shiva Puja. During this month, the cosmos is super charged with Shiva tattvas (Shiva elements) that purify the mind, the senses, the body and the self (Soul) through the rituals dedicated to Lord Shiva. Following pujas can be performed under qualified Brahmins. Importance of Shravan Month is glorified in many scriptures as the most holy month. Devotees observe austerities, fasts and prayers in this holy month of Shravan. This is the time when Lord Shiva drank the poisonous Halahala that emanated from Samudra Manthan between the Devas and Asuras for the quest of the Nectar (ambrosia). During the Manthan, the ocean produced lots of valuables such as gemstones, Goddesses riches, cows, bows, the Moon, conch etc. which were taken up by gods and demons. Fourteen different gems emerged from the ocean which were divided them. When the Ocean produced the deadliest poison called Halahala, all of them cringed back as it was too dangerous to destroy the universes. It was Shiva who decided to drink it to save the world. His devout wife saw him taking Halahala, she at once held His throat so that the poison would not go down. As a result His throat turned blue and He was called Neelkantha. One must engage in devotional activities such as worship, Sadhanas, meditaion or bhajans at home or in Shiva temples. One must visit Shiva temples during this month. Each day of this month carries spiritual significance. 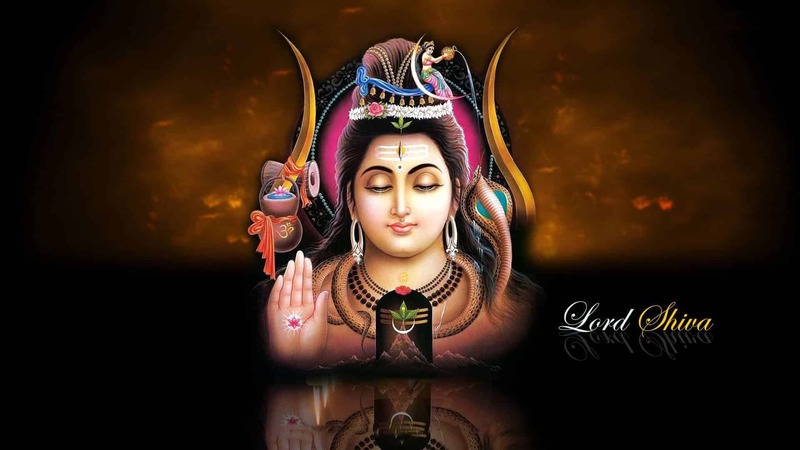 Monday: is the day to worship Lord Shiva. Tuesday: women worship Gauri for the better health of their family. Wednesday: is dedicated to Vithala, an incarnation of Lord Vishnu or Krishna. Thursdays: are for worshiping Buddh and Guru. Friday: For worshiping Lakshmi and Tulsi. Saturdays: are for Saturn (Shani Dev). These days are also known as Shravan Saturdays or Sampat Sanivara (wealth Saturdays) as one can pray for obtaining wealth. Sundays: are for the Sun god. Sun worship was common practice in the Vedic period and it is followed even now. Especially in Shravan, every Sunday the Sun is worshiped. Rudra means the one who is terribly infuriated, which is one of the divine qualities of Lord Shiva who displays it while performing His cosmic dance, Tandava for the annihilation of creations. Shiva, by the virtue of this quality, is called Rudra. Abhishek means a method of worship offered to the Divine for cleansing all the misgivings, sins of the worshiper. Performing Shiva Abhishek includes the offerings of Panchamrit (mix of milk, honey, sugar, ghee and curd, Ganga jal, ghee, Bael Patra (Bilva leaves), Dhatura and other sacred items dear to Lord Shiva. Rudra Abhishek and Homa purifies your mind and body, offers peace, fulfills your desires and enlightens your soul. You may chant the following Shiva Mantras using a Rudraksha rosary or silently in mind. Chanting may be done at specified time and with specific number of counts (108 times or multiples of it) in the morning or evening, or you may do ajapa-japa, a silent repetition of the mantra throughout the day. Fasting during Shravan Maas has been mentioned in the Shiva Purana. According to Shiva Purana, those who observe fast during Shravan Maas have their desires fulfilled and are blessed with the grace of Shiva. Shravan Maas Somvar is very important for the devotees of Lord Shiva. Austere Fast: In this type of fasting, a person does not eat anything for an entire day except for drinking water. The fast is broken in the evening after sunset and regular food without onion and garlic is consumed. Partial fast: In a partial fast one can eat fruits and permitted foods like sabudana and nuts in the day and eat one time meal in the night. The fast is broken after sunset, although in some cases it continues till next day. Devotees offer their prayers to Lord Shiva and then consume normal food. Another type of fasting is that you can keep a maun vrat (Silence) on one whole day in this month and remember Shiva in your mind. Can we eat salt in Savan (Shravan) month? Those who observe strict fasting avoid table salt and take black salt instead. It is advised to avoid non veg, onion, garlic, brinjal and leafy vegetables during this entire month. Along with Shiva Puja, which is the highest form of devotion, one can use spiritually energized products such as Rudraksha beads, lockets, bracelets. Rudraksha is the best spiritual item you can wear. Rudraksha beads such as 1 mukhi, 15 mukhi and Sixteen Mukhi are highly powerful they are ruled by Shiva Himself. Since Shiva tattvas are highly energetic during this month, wearing these beads attract cosmic energies more. Amethyst is a stone of spirituality and serenity. It has the ability to absorb negative energy while emitting the positive one. It is considered a stone of wisdom as it increases one’s psychic awareness. Amethyst is worn to enhance intuition, inspire creativity and encourage peace and stability. Parad Shivling releases subtle cosmic energies that free us from disquieting elements around us. Of all the Lingas, one made from mercury has got the highest merit. According to the Parad Samhita, the wearer of a Parad ring does not need to wear any gemstones as this is a substitute for all gemstones. A Gomed idol of Shiva, Parvati, Ganesha and Kartikeya is best for attracting cosmic energies. Gomed (Hessonite) is a gemstone of planet Rahu and attracts divine grace. Gomed pacifies Rahu malefics.